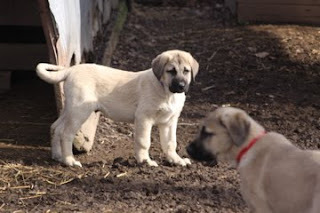 The pups are being introduced to the goats. 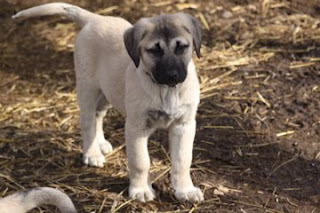 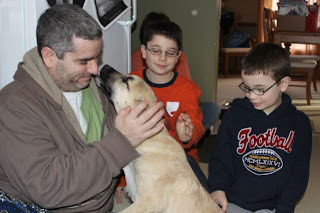 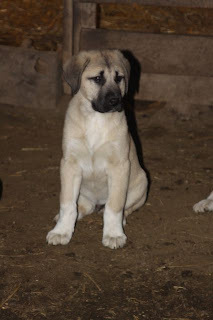 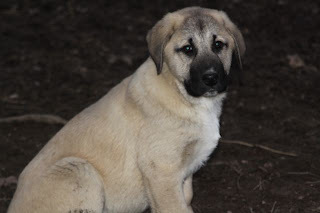 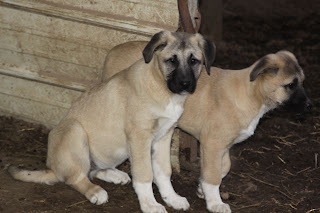 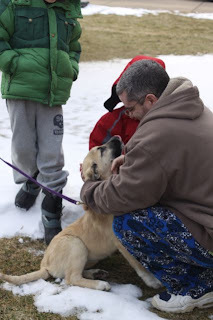 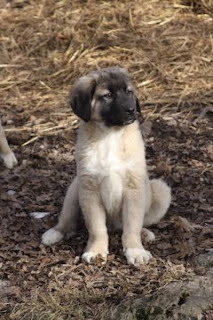 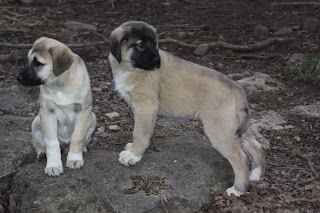 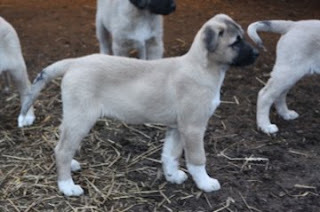 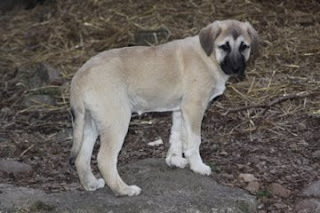 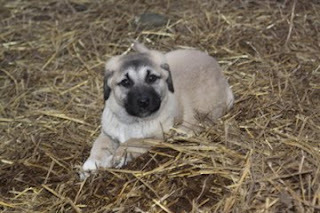 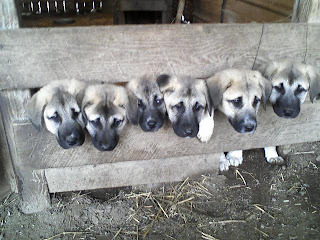 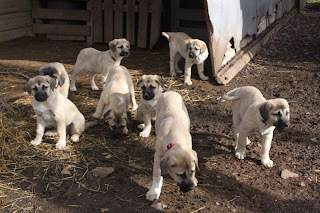 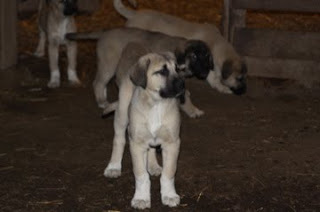 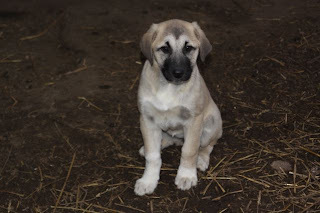 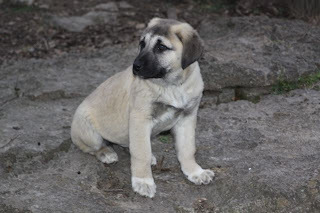 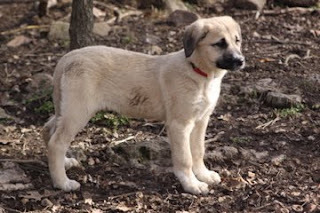 This way each and everyone of them can fit into a livestock guardian home or companion home. 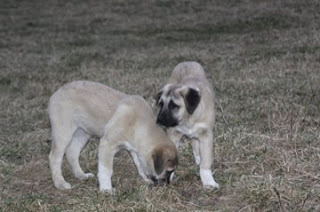 Leash training started this week. 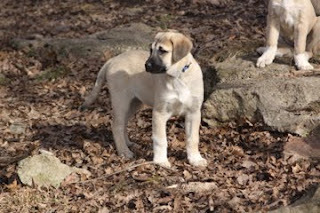 Fawn w/black mask, Red collar, Kat's new home is with Jill Lorenzo and her family in Batavia, Illinois. 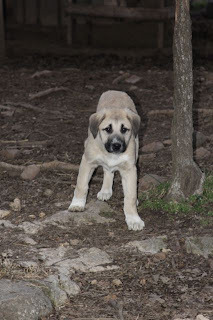 Fawn w/black mask, Lila. 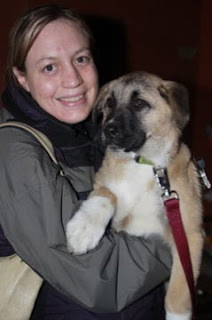 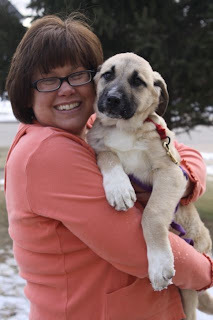 Lila's new home is in Nebraska living with Erica Lichti and her family. 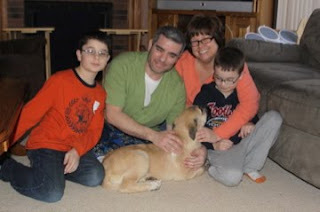 Lila did great in our new 6 ft. tub cleaning up for her trip with Erica.